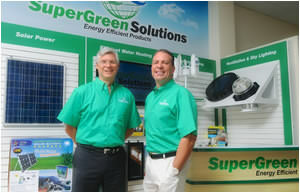 SuperGreen Solutions is leading a franchise in commercial energy efficient solutions, making us truly a 'one stop energy efficient solution shop'. 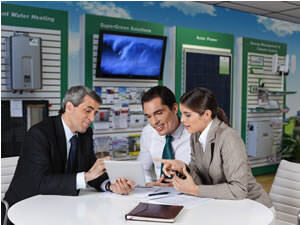 Having been in the Energy Efficiency industry for over eighteen years the founders have established a solid reputation spanning three continents. Training has come from the A.B.S.A (Association of Building Sustainability Assessors), B.E.R.S. Pro (Building Energy Rating System) software training, H.I.A. Greensmart Accreditation and local LEED membership and training. 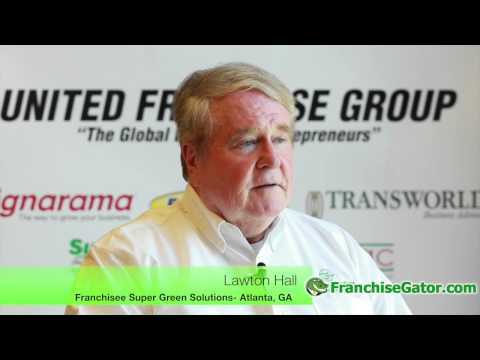 Why Franchise With SuperGreen Solutions? State of the art Showroom – Our showroom visually displays and demonstrates the features, benefits and long term savings delivered through green products. Site Selection Knowledge – The most important decision in opening your retail business is site selection. We carefully research all aspects of every new SuperGreen site, such as traffic patterns and client potential. When you join the SuperGreen family, you will experience the satisfaction of owning your own business while enjoying the benefits that come from being part of a global brand businesses already know and trust. Contact us TODAY to find out more about this opportunity! A master license grants the owner the exclusive development privileges for the brand and generates a very positive cash flow stream from the selling of franchises and collecting royalties. To learn more about this special opportunity, please fill out the short form below and we will contact you soon! THESE FRANCHISES HAVE BEEN REGISTERED UNDER THE FRANCHISE INVESTMENT LAW OF THE STATE OF CALIFORNIA. SUCH REGISTRATION DOES NOT CONSTITUTE APPROVAL, RECOMMENDATION OR ENDORSEMENT BY THE COMMISSIONER OF THE DEPARTMENT OF BUSINESS OVERSIGHT NOR A FINDING BY THE COMMISSIONER THAT THE INFORMATION PROVIDED HEREIN IS TRUE, COMPLETE AND NOT MISLEADING. RESIDENTS OF THE STATE OF NEW YORK: THIS ADVERTISEMENT IS NOT AN OFFERING. AN OFFERING CAN ONLY BE MADE BY A PROSPECTUS FILED FIRST WITH THE DEPARTMENT OF LAW OF THE STATE OF NEW YORK. SUCH FILING DOES NOT CONSTITUTE APPROVAL BY THE DEPARTMENT OF LAW. 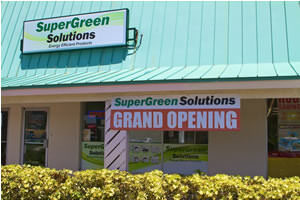 SuperGreen Solutions is currently accepting inquiries from the following states: Wyoming, West Virginia, Wisconsin, Washington, Vermont, Virginia, Utah, Tennessee, South Carolina, Rhode Island, Pennsylvania, Oregon, Oklahoma, Ohio, Nevada, New Mexico, New Jersey, New Hampshire, Nebraska, North Dakota, North Carolina, Montana, Mississippi, Missouri, Minnesota, Michigan, Maine, Maryland, Massachusetts, Louisiana, Kentucky, Kansas, Indiana, Illinois, Idaho, Iowa, Hawaii, Delaware, Washington, D.C., Connecticut, Colorado, Arizona, Arkansas, Alabama, Alaska.